Gerard Bertrand has an extensive range of wines on offer and offers a great way to explore the vinous treasures of the Languedoc-Roussillon in France’s south. In 2002, changed the Cigalus estate to biodynamic principles and has made progressive changes in all his estates since. 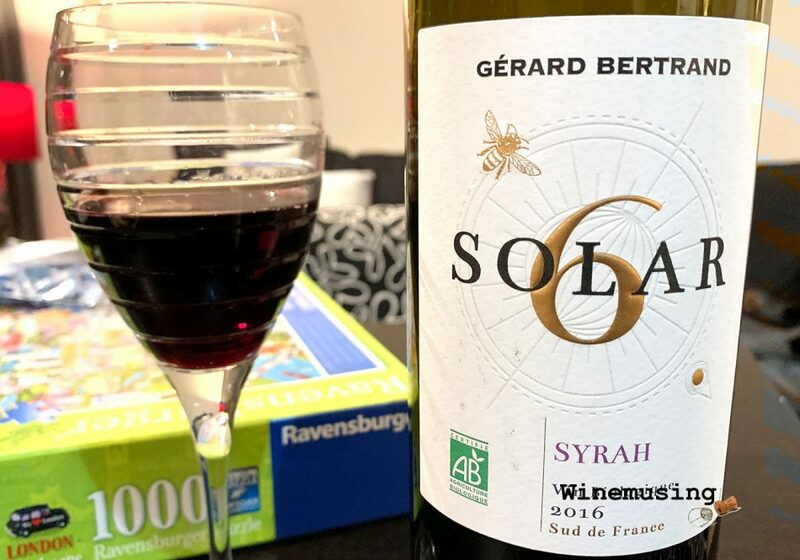 The Solar 6 range, launched in 2017, celebrates those organic ideals and the pollinators that are so important to the vineyard’s health – the bees! The range also includes a Chardonnay and a Grenache rosé. You should expect a spicy, earthy Syrah from this region of France, one with ripe, juicy plum fruit. And the Solar 6 delivers. It is elegantly built with supple tannins and a savoury charcuterie note creeping in on the finish. A wine like this does not require food to be at its best. It will be just as good with a mid-week dinner or weekend lunch.